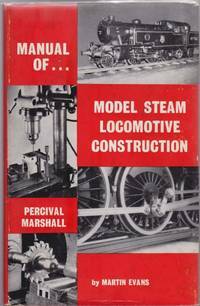 London: Percival Marshall, 1960. 1st. Cloth. Collectible; Fine/Fine. A crisp, very sharp copy of the 1960 1st edition. Clean and Fine in a bright, price-intact, Near Fine dustjacket. Octavo, 158 pgs., including crisp black-and-white photos thruout. Silverton, Colorado: Sundance Publications, Ltd. Hardcover. Collectible; Fine/Very Good. A solid, well-preserved example of the 2 volume set. The 1979 and 1980 2nd printings, respectively. Both volumes sharp and Near Fine in VG+ mylar dustjackets. Quartos, over 830 pgs. all told. "An Illustrated History --Featuring the Denver, South Park & Pacific Railroad and the Gold-and-Silver Mining Industry of the Fabulous Mineral Belt of Colorado". Vol. I: Old South Park--Denver to Leadville; and Vol. II: Old South Park--Across the Great Divide. Also includes the fold-out maps at the rear pastedowns of each volume. Chicago: The Brotherhood of Railroad Signalmen of America, 1921. 1st. Cloth. Collectible; Very Good. The 1921 1st edition. tight and VG in its blue cloth, with mostly-bright gilt-lettering at the front panel and spine. 12mo, 248 pgs. Kentfield, CA: Newton K. Gregg Publisher, 1971. Cloth. Collectible; Fine. A handsome copy of the 1971 re-issue of the 1906 edition. Solid and Near Fine in its light-green cloth, with bright gilt-lettering at the spine. Thick quarto, 568 pgs., 6,344 illustrations. "An illustrated vocabulary of terms which designate American railroad cars, their parts, attachments and details of construction with definitions and illustrations of typical British practice in car construction -- Compiled for the Master Car Builders' Association by Rodney Hitt"
Self-published, 1973. 1st. Cloth. Collectible; Fine/Fine. A crisp, well-preserved copy of the 1973 1st edition. Clean and Near Fine in a bright, Near Fine pictorial dustjacket, with just a touch of rubbing at the front panel. Quarto, 112 pgs. 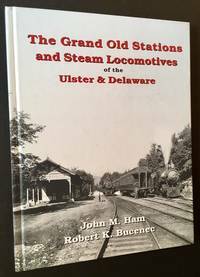 "The Story of The Albany & Hudson Railway & Power Company (1899-1903); The Albany & Hudson Railroad (1903-1909); The Albany Southern Railroad (1909-1924); The Eastern New York Utilities Corporation (1924-1929) and including The Hudson Street Railway (1890-1927)"
Louisville, Kentucky: L. & N. Magazine, 1942. 1st. Cloth. Collectible; Fine. A very solid copy of the 1942 1st edition. Tight and Near Fine in its dark-green cloth, with bright gilt-lettering and rule at the front panel. Small, tasteful "Railroadians of America" bookplate at the front free endpaper verso, otherwise clean as could be. Quarto, 221 pgs.